Written by Joe Wikert on November 29, 2016 . Posted in Business, Marketing and publicity, Metadata. How are you helping consumers find the perfect book for their needs or interests? If you’re like most publishers, you offer a search function on your site. Visitors simply type in a topic and relevant titles from your catalog are displayed. This is pretty similar to how search works on Amazon. In both cases, book metadata is used to determine the best matches. So if the search phrase happens to be in a book’s title, description, etc., that title is likely to float to the top of the results. That’s great, but why not leverage the book contents, not simply its metadata, for the search process. Amazon’s Search Inside feature lets you do this, but only after you’ve selected a particular book. What if you’re a publisher with a deep catalog on religion and someone is looking for the book with the most in-depth coverage of Pope Francis? Metadata-only searches can help, but the full contents are the only way to truly measure topical depth, especially if you want to compare two similar titles to see which one has the most extensive coverage of the search phrase. Google Book Search (GBS) offers this sort of visibility but most publishers have a cap on the percentage of content visible to GBS users. That’s primarily because publishers want to prevent someone from reading the entire book without buying it. I believe the solution is to expose all the contents to a search tool and display results that only show snippets, not full pages. That’s exactly what we’re now offering on our bookstore website at Our Sunday Visitor. If you click on the Power Search link at the top of the page you’ll be taken to this new search tool. If I search for “Pope Francis” I get these results. The top title has 203 hits, so if I click “view 203 results” I can then take a close look at every occurrence of my search phrase in the highest ranked title. Note that this platform takes proximity into consideration, so if you have a multi-word search you can limit the results to just those instances where the words are closest to each other. At any point the user can click on the cover image to read title details or buy the book. Think about how powerful this tool is for publishers with deep lists on vertical topics (e.g., cooking, math, science, self-help, etc.). Instead of relying exclusively on the book description to make the sale, the contents are fully searchable and comparable across a list of related titles. We’re in the early experimentation phase with this platform. We’re planning to use a variety of ads that say something like, “find your next great read”; users who click on those ads will be taken to the search landing page where they can explore the full contents of our entire ebook catalog. This search platform is powered by the outstanding team at MarpX. If you’d like to experiment with this on your site, you’ll find contact info at the bottom of their home page. MarpX has been a wonderful partner for us and I highly recommend you explore their solution as well. I hope you’ll join us in this effort to move content search and discovery to the next level. Joe Wikert is director of strategy and business development at Olive Software. 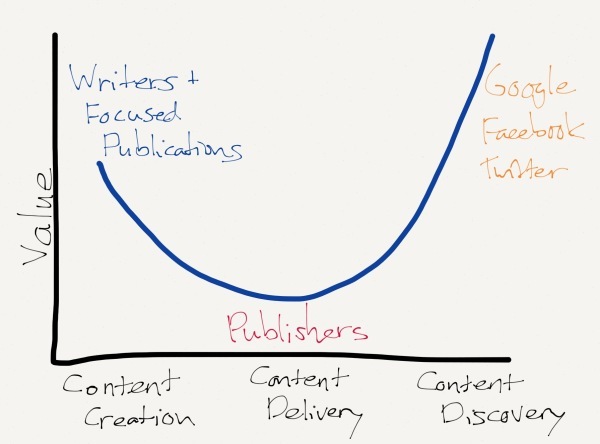 This post was originally published on his blog, Joe Wikert’s Digital Content Strategies, where he writes opinion pieces on the rich content future of publishing. Written by Ralph Möllers on September 28, 2016 . Posted in Articles, Blog, Booksellers, Business, Business Strategy, Digital, Independent publishing, Marketing, Marketing and publicity, New technologies, Publicity, Social Media, Social media, Tech. Small independent publishers and self-published authors need to maximize the impact of their books and ensure they are easily found on the Internet. Ralph Möllers, the founder of a children’s publisher based in German decided to develop his own book widget, Book2Look, that would enable book buyers, both trade and consumer, to look inside the book before they purchase. The Internet makes content readily available for free. Ralph felt by offering easily digestible free content as a hook would encourage readers to want to read on and most importantly to click ‘buy’. Making the point of discovery the point of purchase. As a starting point before any book campaign, publishers should think about whom their current readers are and what is happening in the marketplace. Here are some of Ralph Möllers’ latest observations, together with how this led to the development and continuing enhancement of the Book2Look widget. According to BBC research, young people now spend an average of three hours online a day. This seems quite a conservative estimate really, and professionals must spend more than double this amount. Tech savvy millenials are wise to advertising and many use ad blockers to protect them from the ‘lure’ of online shopping ads, which are becoming increasingly sophisticated. According to eMarketer, about a quarter of all U.S. internet users, nearly 70 million people will use technology to block online ads in 2016. Publishers therefore need to develop respectful ways of promoting to these readers, as a result of this. Nielsen Book2Look is therefore an ideal option that lets you share sample content, video, audio clips and other promotional material via the internet on social media sites, on your own site, author site or with retailers, bloggers and reviewers. Each version can be tailored to meet your audience needs. Despite books such as the Cursed Child by JK Rowling, Jack Thorne and John Tiffany, which achieve huge sales, shelf space for the average book in traditional book stores has been decreasing and this makes discoverability of new books extremely difficult for publishers. Author James Patterson launched an admirable initiative to help indie bookshops survive and thrive – however, in the UK in 2014, almost twice as many bookshops closed down as new ones opened. Between 2009 and 2016*, the number of independent booksellers in the UK and Ireland, has fallen by 25%. With fewer options to browse books in-stores, publishers need to replicate the ability to browse books online, and that’s where Nielsen Book2Look can help you reach a wider audience for your books. Trends in Social Media usage are changing. Many Facebook users have migrated to Instagram or Twitter away from parental observation. Groups of friends prefer to communicate via closed groups on Path or What’s App. Professional networks such as Yammer give work colleagues a valid reason to chat online. Nothing remains constant but the one thing all forms of social media have in common is that they give their users the opportunity to share. Nielsen Book2Look lets your readers share sample content. It gives them a valid reason to communicate on their preferred social channels, and you can add a link to your preferred retailer, ensuring that you achieve sales. Nielsen Book2Look is a tool that encourages readers to share and spread the word about the books they like. A tool that supports your local retailer by offering customised sample content. And lastly but not least, it’s a tool that gives you great analytical data about the performance of your book content that can be connected to your existing Google analytics account. Today Nielsen Book2Look is helping thousands of publishers of all sizes worldwide to promote and sell their books. Nielsen Book2Look has achieved millions of book views, last year the figure was 20m, and we expect that to increase this year. Ralph Möllers says: “As a developer and as a publisher I am really proud of this contribution to our industry and I am delighted that so many publishers around the world can take advantage of this remarkable book widget. Even better news is that Nielsen Book has launched its new ISBN Store which enables publishers not only to purchase their ISBNs online but the Book2Look widget too – what could be simpler than that?” *2016 is seeing a number of new independent bookshops starting up, which might lead to a resurgence of high street retailing, but this is still a hugely competitive market with customers being offered a huge of point of purchase. 1) What is your biggest lesson learned about managing metadata? ‘It’s the metadata, stupid.’ Having complete metadata doesn’t guarantee sales, but without it it’s hard to achieve good sales so it’s vital to get it right. You need to first sort out the basics. Reading Nielsen’s White Paper on the link between metadata and sales is a good place to start. Nielsen’s BookData Enhanced Service is a huge help ensuring you have rich and thorough metadata. Get your metadata for a title feeding out as far in advance of publication as possible. Metadata standards and systems will inevitably change but the principles will remain the same: getting as much information about your titles out there to the people who buy books. Good metadata is vital in helping discoverability and differentiating your titles from the thousands of other books being published. We’ve benefited enormously. Our experience has definitely confirmed for us that good data helps sell books. Written by Jacob Cockcroft on July 12, 2016 . Posted in Articles, Authors, Blog, Business, Business Strategy, Community building, Digital, Digital Marketing, Future of Publishing, Marketing, Marketing and publicity, Multi-platform, Products, Social Media, Strategy, Tech, Trends, Views. Jacob Cockcroft is Co-Founder and CEO of The Pigeonhole, a made-for-mobile digital book club, serialising their books in installments delivered straight to a reader’s virtual bookshelf on the iOS app or website. Here he writes on mobile reading and making digital work for your company. E-books are on the decline. Digital reading is only for romance novels. Waterstone’s no longer sells Kindle eReaders. Excellent, publishers can go back to business as usual. The physical book has prevailed. Well, OK, if you want to misread the tea leaves. The inescapable truth is that there will be 2.5 billion smart phone users by 2019, all potential readers. The largest industry oversight is a distinct separation between physical and digital reading, with digital being the cheaper, dirty cousin. There is a tally for physical sales and a tally for digital sales, count up the points and see who wins. This simplicity fails to understand how mobile phones are hard coded into people’s daily routine, behavior and psychology. They are the single most important discovery tool for anything: holidays, clothes, kettles, and of course books, but this discovery tool could be so much more efficient, if used properly. The art is to exploit the opportunities smart phones provide and, most importantly, to use data driven analytics to hone the message. This is something physical books simply can’t offer (in much the same way that digital books can’t bring the touch, feel and smell of a physical book). Interaction, sociability, discoverability, immediacy, pinpoint targeting, measurable ROI. View digital reading through a marketing lens and it can bring you all these things. But it has to be fun; it has to compete with Facebook, Instagram, Twitter or Snapchat on the home screen of every IOS or Android device. This is the business of habit-forming products, of providing that 10-15 minute hit of endorphins as someone breastfeeds, or waits for the tube, or a friend to turn up in a bar. This is the battle that we wage at the Pigeonhole. We are building dynamic reading experiences, something to take part in, to feel as though you are on a collective journey with others, discovering the most exciting books of the moment. It’s not enough to just pipe content onto a phone and expect people to churn through hours of turgid reading, the temptations of the other apps are just too great, even for those with the best intentions. There is no great mystery as to why digital completion rates for traditional reading apps are so low. You have to make it FUN. Satisfying. Exciting. Challenging. This is all possible, more than possible, it’s real. All of our publishing partners have given their experience the thumbs up, and over half who respond to our surveys would actively recommend the Pigeon to fellow readers. It is still early days (we have a community of over 12,000 users and our Android app is coming in September) but we are getting closer and closer to perfecting the experience. And it is the author who benefits from us more then anyone. Many publishers are acutely aware that they aren’t delivering for their authors on the marketing front; they just don’t have the bandwidth. Our partnerships solve this, giving the author a direct line to their readers, creating genuine buzz around the book across social media, and facilitating those reviews on Amazon and Goodreads to boost the all-important algorithms. In turn, this drives the sales of physical books through direct click-throughs from our site to Amazon and both online and offline word of mouth. We are the ultimate content marketing platform, using the most powerful thing you can – the book itself. Our serialisations allow any book to fit into any life, whilst offering a structured framework for conversations to play out through between the author and their readers In this way, digital becomes part of an integrated strategy for the promotion of a book, driving discoverability, author profiles, digital sales and physical sales. Posters on the tube are great, but pound for pound, displays in the Facebook newsfeed of keen readers can be much more powerful. With a holistic strategy like this you really can fulfill the potential digital reading provides. So my message: Don’t be scared of digital and don’t turn your back on it. You just need to be smarter, more creative and ambitious with it. Videl Bar Kar (Penguin Random House, UK Audio), Claire Powell (audioBoom) and Adam Martin (Acast) formed the panel on Audio Publishing at the Quantum conference today. Here are the top 10 things we learned. 1) People are listening to podcasts and audiobooks on their runs, commute, in the car and when going to sleep. 2) Men listen more regularly than women and audiobooks reach a more diverse audience in comparison to print. 3) Podcasts are proving to be a highly engaging and intimate means of storytelling. Once people start to listen to them, they tend to carry on. 4) Podcast production is dominated by white middle class men. It’s not making the market any bigger and this needs to change in order to reflect the audience and content available. A broader, mass, millennial appeal needed. 5) Only when a podcast is downloaded is data available on how much it’s listened to, at which points users stop listening, and how they are shared. It’s hard to monetise without this. 6) Producers are beginning to incorporate data for streaming too, so that they can inform creators of what’s working and what’s not. 7) Data shows that an endorsement by the host is most effective form of advertising and that the commercial message better received. Creators are changing the model: it’s not the advertising agencies coming up with ideas, but the podcaster telling the brand’s story in their own way. If the creator gets it right, the users wants to stop and listen, not skip ahead. 8) The current challenge is reaching potential new users. Go direct to your audiences with links to, and snippets of, your content, e.g. Twitter, Snapchat and Facebook. Users will often find the gateway show that pulls them in. 9) Listeners are discovering new podcasts by reading recommendations on podcasts themselves. 10) Curated podcast playlists are also becoming increasingly popular. Written by admin on March 19, 2016 . Posted in Articles, Authors, Blog, Business, Digital, Interviews, Self-publishing. Featured in The Bookseller, Digital Book World and GalleyCat, Adam Kolczynski is best known for iAuthor, the London-based startup. In tackling the perennial problem of book discoverability, Kolczynski has straddled both ends of the publishing spectrum: first as an author, then as a publisher with Polybius Books. Here we interviewed him to catch-up with iAuthor developments. 1) What exactly is iAuthor? iAuthor is a book discovery platform for a new breed of bibliophile. Think ‘Pinterest for books’. Through a theme-driven and intensely visual approach, iAuthor connects readers to authors; and vice versa. All content is author-generated. No editor’s picks. The result is a true democracy of opportunity. Authors have equal access to readers, regardless of their route to publication. Gabriel Zaid’s 2003 observation is both piquant and prophetic: “The reading of books is growing arithmetically; the writing of books is growing exponentially.” Fast-forward 13 years, and we’re witnessing an alarming asymmetry between reader growth and book numbers. Across key formats, the number of new books released per year is not matched by a commensurate increase in readers. The result? More books are competing for fewer reader eyeballs. Readers feel swamped by digital noise, creating a paradox of choice. Authors are deafened by this same noise, widening the gap between talent and opportunity. Millions of books are left undiscovered. Both ends of the publishing spectrum suffer. If an overabundance of books weren’t enough, other factors have exacerbated this discoverability problem: a) A scarcity of attention Mobile and tablet readers are more time-squeezed than ever, so unknown authors have less time to capture and maintain reader interest. b) Saturated genre categories Many book categories have a surplus of books on every topic, particularly in the case of non-fiction. The resulting overlap makes it harder for individual books to stand out. c) Poor user-experience Annoying file downloads, restrictive DRM and awkward page navigation deters many readers from sampling books online. Unless readers can try before they buy, the likelihood of an impulse purchase drops significantly. iAuthor overcomes these obstacles through a unique combination of crowdsourced book themes and user-generated book samples. From the book discovery angle: digital-first readers. Voracious book buyers, reviewers, bloggers, book clubs, and more. All those looking to stumble upon their next read with a splurge of serendipity. From the book promotion angle: authors, publishers and book PR agencies. On hitting 2.2 million page-views and 1.2 million engaged minutes since launch, iAuthor rolled out a signature feature called 7dayAds. Native advertising has been on the rise on social media sites. Sponsored tweets, promotional product pins and Facebook ads have made users both the journey and the destination. With this in mind, 7dayAds targets users who are already “soaked” in iAuthor’s ecosystem, letting them upgrade free book profiles to premium adverts for short promotional bursts. iAuthor’s mission is to make books not only searchable but genuinely discoverable. Amazon-style metadata will make a book searchable in seconds…if the buyer already knew of its existence. But what if they didn’t? What if the buyer chanced upon the book? That’s where iAuthor’s ‘serendipitous discovery’ comes in. With well-aimed funding and sustainable scaling, iAuthor can become the marquee platform for book discovery and author brand-building. With 12 New York Times bestselling authors and 16 USA Today bestselling authors aboard iAuthor, the once quixotic notion of top-tier authors sharing promotional space with edgy indies is real and manifest. 5) What will be next for iAuthor after this? Eric Ries’ lean startup methodology calls for products to be built iteratively, with customer validation at every milestone. By extension, iAuthor is only as robust as its last iteration; and only as ambitious as its next one! In the coming months, we aim to expand our book analytics suite to incorporate stats from readers’ sampling habits, while simultaneously streamlining the inline comments in LitSampler, iAuthor’s proprietary book sampler. iAuthor is proving both ‘sticky’ and habit-forming; an eclectic user-base with genuine discovery intent, not just gratuitous self-promotion. The proposed enhancements will deepen that engagement on all levels. Written by Sven Huber on February 18, 2016 . Posted in Articles, Blog, Digital, Digital Marketing, Interviews, Marketing, Marketing and publicity. Sven Huber is founder & CEO of Boolino, Spain’s leading online platform for children’s and YA books. Over the last 15 years he has been working in book publishing and distribution in Spain, Portugal and the US. He is a speaker and sponsor at ‘Publishing for Kids: how to reach book buyers online’ on 9th March in London. Here’s our interview with Sven. Written by Joe Wikert on December 16, 2015 . Posted in Articles, Blog, Business, Business Strategy, Digital, Strategy, Views. Are you familiar with the ‘smiling curve’ phenomenon? The details are provided here, but the short explanation is that a smiling curve depicts the value-add potential for each stage of an industry. For example, in the publishing space, you have three stages of content: creation, delivery and discovery. Those three stages are illustrated with a smiling curve here as part of a terrific article from Ben Thompson of Stratechery.